Alter The Press! 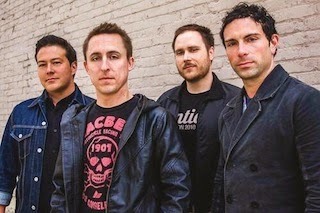 : Yellowcard Release New Song "Transmission Home"
Yellowcard Release New Song "Transmission Home"
Yellowcard have released a new song titled "Transmission Home," which can be streamed below. The track is taken from the band's long-awaited new album Lift A Sail that drops on October 7th via Razor & Tie Records. A variety of exclusive Lift A Sail pre-order bundles items are available to purchase over at http://yellowcard.merchnow.com.